It’s hard to go anywhere on campus this week without seeing these signs, which have popped up all over University Park. And we’re happy for the reminder: this artsUP thing happening Sunday afternoon looks pretty cool. Tickets for that show are still available, and yes, like everything else at artsUP, they’re free. So if you’re in town this weekend—for football, or for any reason at all—you might want to make some time on your Sunday schedule for artsUP. Entry filed under: University Park. 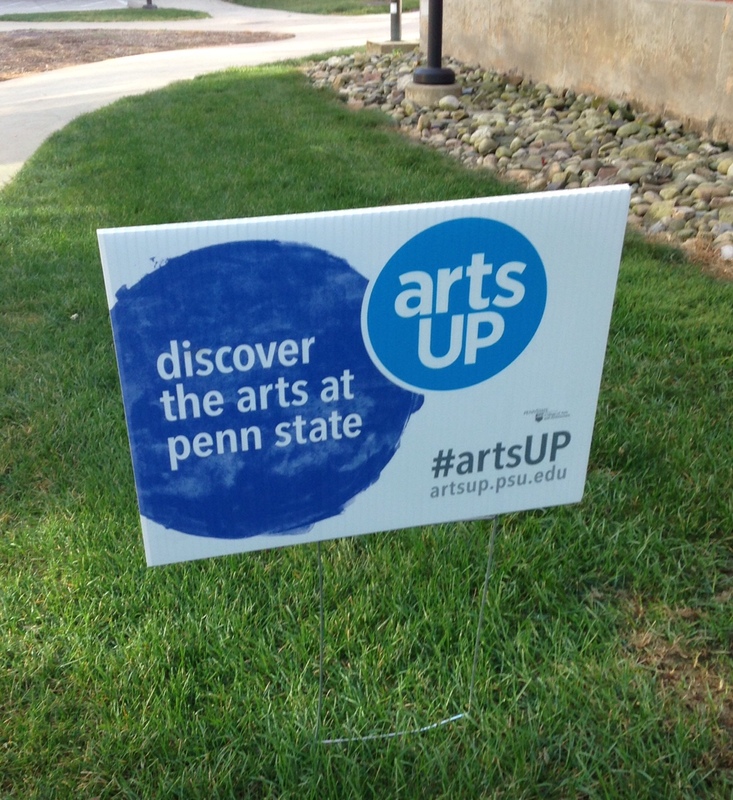 Tags: artsUP, Eisenhower Auditorium, Soul Rebels, Stuckeman.